Children fly overhead on a 90-second thrill ride, while others test their skills on the American Ninja Warrior course. No, it’s not a new reality show. It’s customers taking advantage of some of the new attractions at Urban Air Adventure Park in Waco, TX. 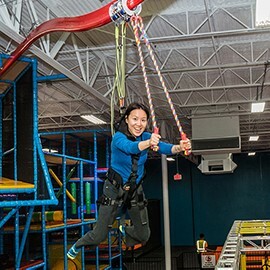 Along with a sky coaster that takes children on a zipline ride across the park, Urban Air patrons can also climb through a rope course, and attempt to conquer a rock wall. 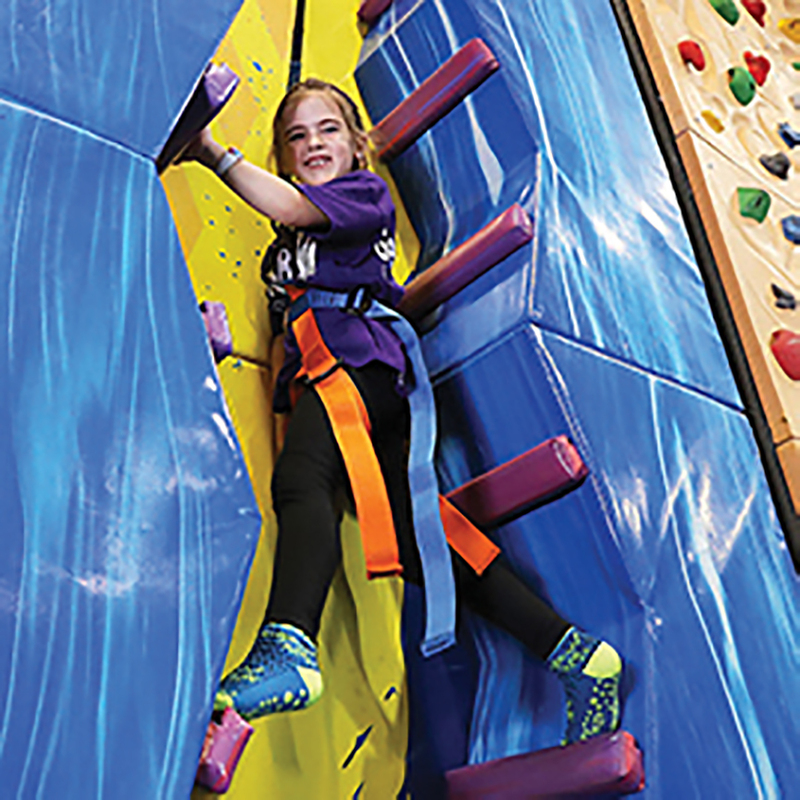 “We also have a Pro Zone, that is tailored to gymnasts and experienced athletes who want to test their flexibility and agility,” branch manager, Amber Gerik said. 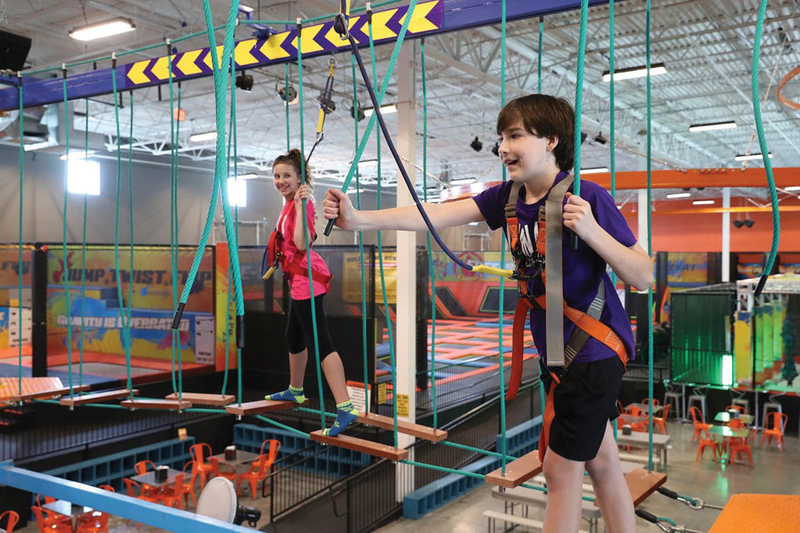 Urban Air began in 2011 as a trampoline park and made its way to Waco in 2016. Now, more than 83,000 kids come to play at the newly- re-opened adventure park every month. And with the addition of the new attractions, Gerik is already seeing an increase in the number of families flocking to the location. With its convenient location and dedication to safety and affordability, Urban Air has become one of the coolest places to play in Waco. And not only is Urban Air a great place to play, it is also a great way to exercise. 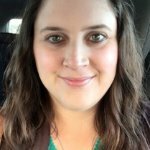 “We have a lot of homeschool kids who will come out to our location to earn their PE credit,” Gerik said. The adventure park also offers birthday party packages to keep the fun going even longer. Gerik also suggests that parents visit Urban Air’s website (www.urbanairtrampolinepark.com) to sign a waiver before they visit an area location. It will ultimately save them time during the check-in process and allow everyone to get to the attractions quicker upon arrival. 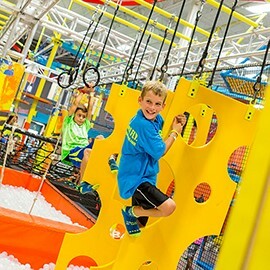 Urban Air Adventure Park is located at 5701 W. Waco Drive, Waco, TX 76710. For more information about the park and what it has to offer, call (254) 732-5227.